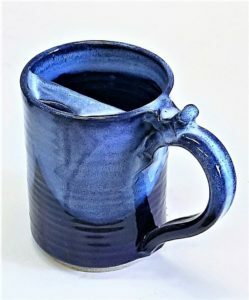 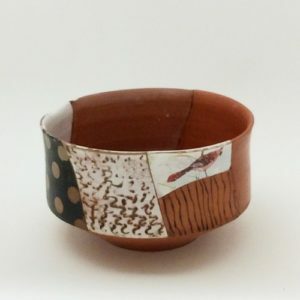 David Orser is one half of Cedar Mountain Potters, the husband and wife team of Laurel MacDuffie and David. 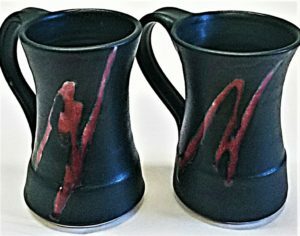 They have lived in their 1800s era farmhouse in Parsonsfield, Maine since 1999. 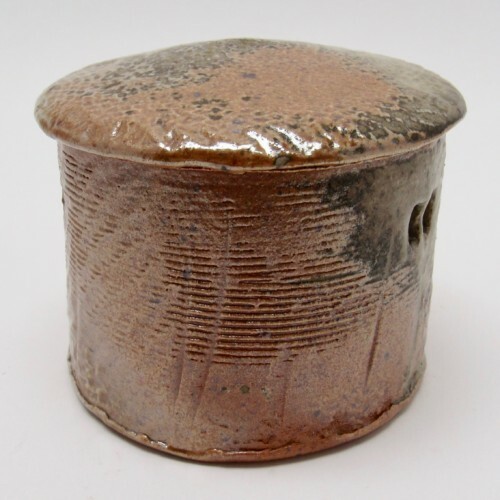 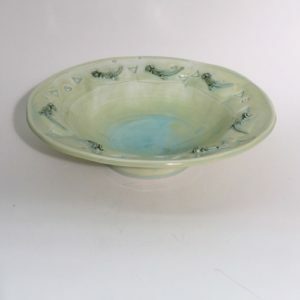 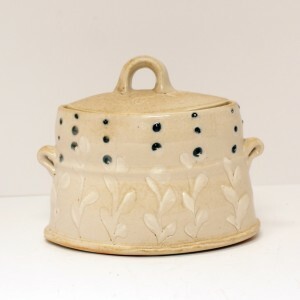 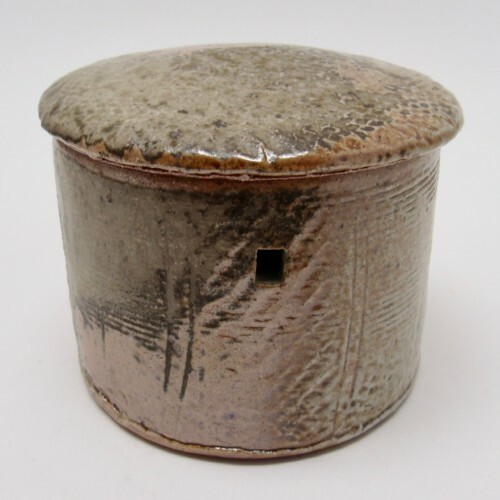 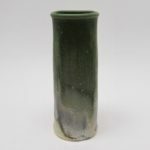 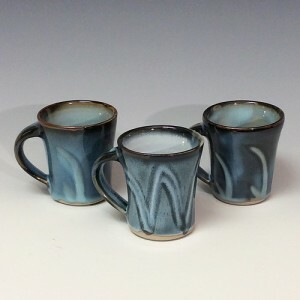 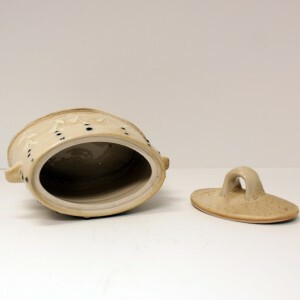 His work is hand thrown or hand built using stoneware and porcelain clays and uses gas fired, reduction and salt kilns. 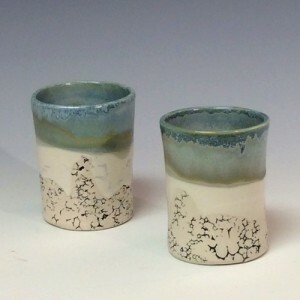 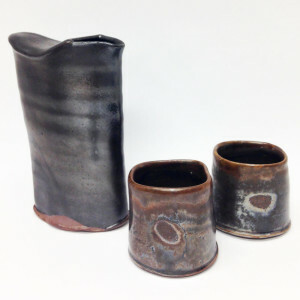 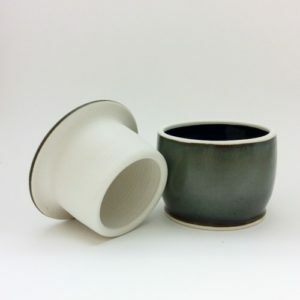 These pieces are often glazed with shino, wood ash, and other traditional glazes. 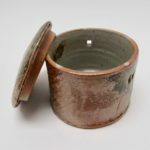 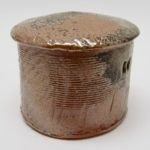 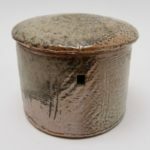 He also regularly participates in the firing of aJapanese, anagama wood-fire kiln, built and operated by Jody Johnstone in Swanville, Maine. David has been making pottery and sculpture for more than twenty years... 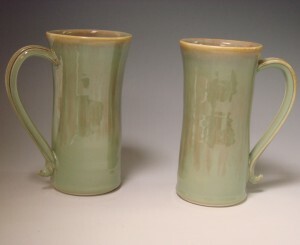 He received his Master of Fine Arts degree at Cranbrook Art Academy. 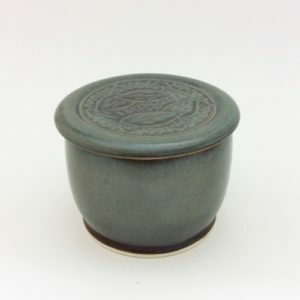 Ceramic garlic jar with earthy brown and orange tones; salt fired; 3 3/4″ total height, 4 1/2″ diameter.